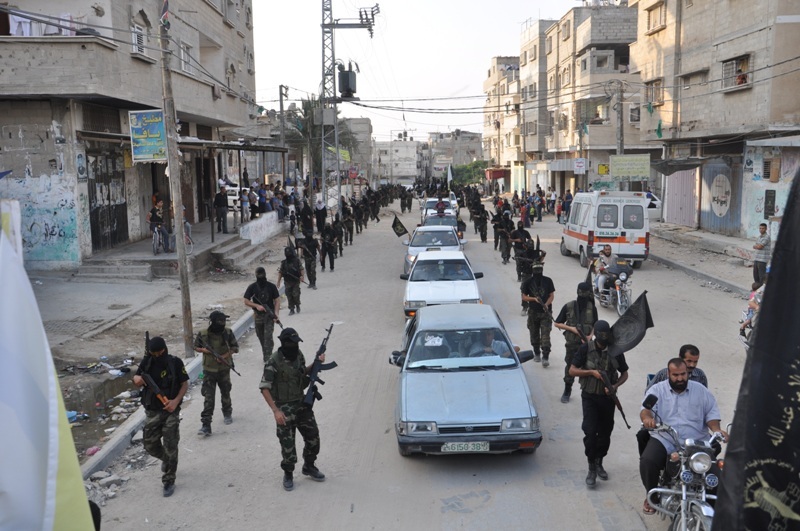 On October 2nd the armed wing of Palestinian Islamic Jihad (حركة الجهاد الإسلامي في فلسطين‎), the al-Quds Brigades, took to the streets of Fatah in Southern Gaza to mark the 17th anniversary of the assassination of Fathi al-Shaqaqi. Shaqaqi was assassinated in Malta by the Mossad in 1995. 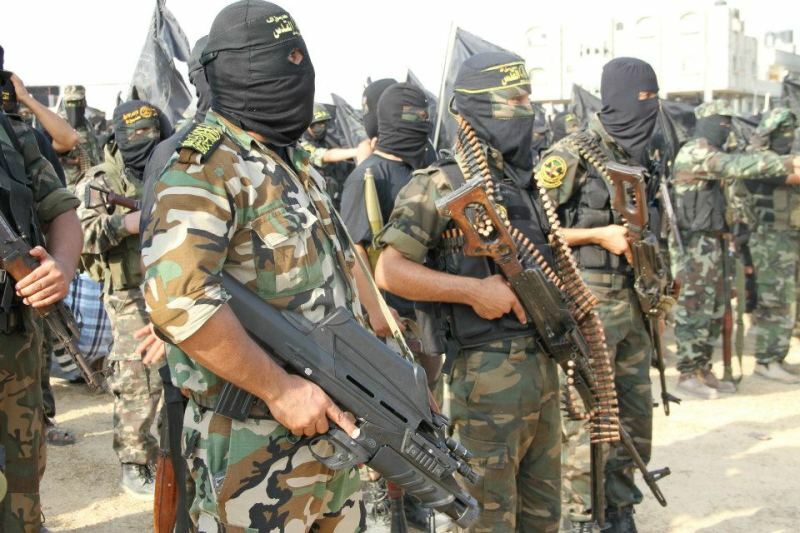 Each year, the al-Quds Brigades take to the streets for a military parade to mark the event, brandishing a variety of arms and carrying all manner of banners and flags. This year’s parade, however, was a little different, and held some interesting items for those of us following the spread of various small arms. Amongst the usual assortment of Russian AKMs & Eastern Bloc copies, Chinese Type 56 variants, PKMs, and RPG-7 variants and copies were two far less common weapons: the F2000 and AK-103 assault rifles. The F2000 Standard, as seen here, is manufactured only by FN Herstal of Belgium, whilst the AK-103 is predominantly manufactured by the Russian state-owned Izhevsk Machine-Building Plant (IZHMASH). Neither of these rifles would ordinarily be expected to turn up in Palestine, and certainly not in the hands of a designated terrorist organisation such as PIJ. Where then, might such weapons have come from? The F2000 is in very limited service in Pakistan, and 55,000 rifles were sold to the Saudi Arabian National Guard in 2005. Neither avenue of supply appears likely. 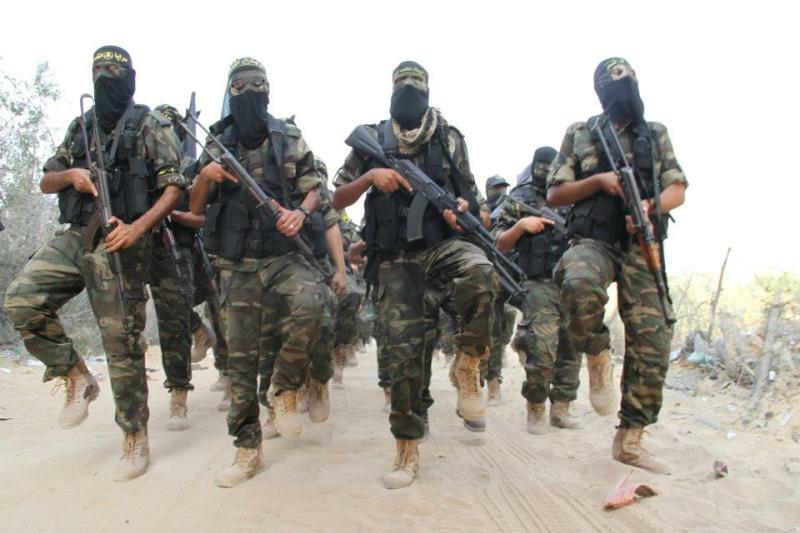 The AK-103 is in use in limited numbers in Morocco, and is thought to be in limited service with Iranian Takavaran naval commandos. Whilst PIJ has some pretty strong links to Iran, sending a handful of foreign-purchase weapons in place of locally-produced or previously stockpiled (cheaper) weapons would seem an unusual choice for them to make. The AK-103 and the F2000 do not typically turn up in the hands of the same fighting force (an exception to this rule may, occasionally, occur in India). There has been one recent conflict however, where precisely this has happened – Libya. These two weapons were used concurrently by both parties to the conflict, in fact. AK-103-2 rifles were found in the hands of pro-Qaddafi (and later rebel) fighters; these were manufactured in Russia and possibly served as precursors to a deal to produce such weapons locally. 367 F2000 Standard assault rifles, meanwhile, were known to have been exported by FN Herstal to Libya in 2009. They were intended for use by the elite 32nd ‘Khamis’ Brigade, and were later captured by rebel fighters and put to use against regime forces. The F2000 rifles seen in Libya were sold and equipped with FN Herstal underbarrel 40x46mm grenade launchers, known as the LG1. 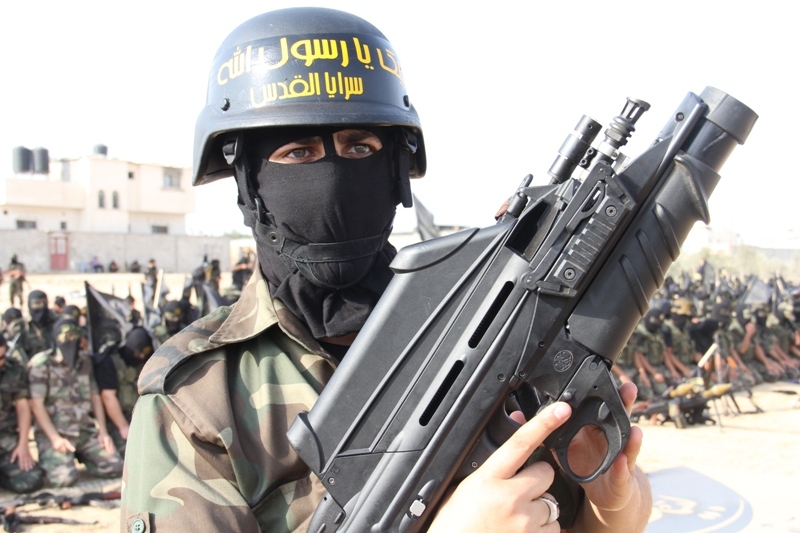 The F2000s pictured in Gaza also sport LG1s. Much has been written about the threat of arms proliferation in the wake of the collapse of the Qaddafi regime. The UN Security Council has heard from the United Nations Inter-agency Assessment Mission to Sub-Saharan Region that “Governments in the region are faced with… the smuggling of weapons from Libyan stockpiles”. IPS news quoted a former rebel as saying ““All of the militias are involved in selling weapons. There is no law in Libya, still no functioning government, and the country’s security forces are too weak to control the situation, so selling weapons is regarded as legal by many of the rebels”. Whilst much of the international community’s attention has been focused on the threat of Libya’s MAN Portable Air Defence Systems (MANPADS), small arms such as these assault rifles are responsible for a much larger proportion of worldwide conflict fatalities each year. 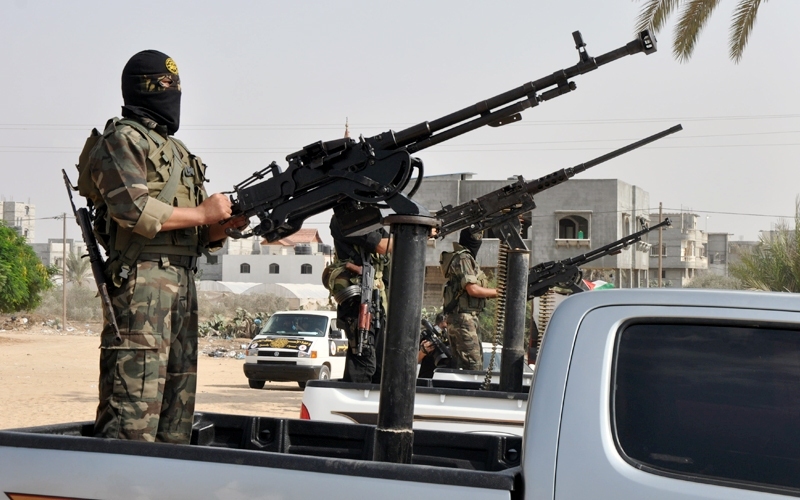 So, have assault rifles from the Libyan conflict ended up in Gaza? The PIJ only appear to possess a few of each rifle, in keeping with a limited proliferation profile expected of weapons deemed prestigious by Libyan rebels. Whilst 7.62×39 and 5.56×45 calibre cartridges (for the AK-103 and F2000 rifles, respectively) are both reasonably common in Gaza, it is worth noting that no 40×46 grenades can be seen accompanying the LG1 grenade launchers in these photos. Both rifles would certainly be of use to PIJ, however tactically they would hold little advantage over any other serviceable assault rifle in the hands of guerrilla fighters. With the comparatively low level of marksmanship training that such militias have, these rifles won’t give them much of an edge. 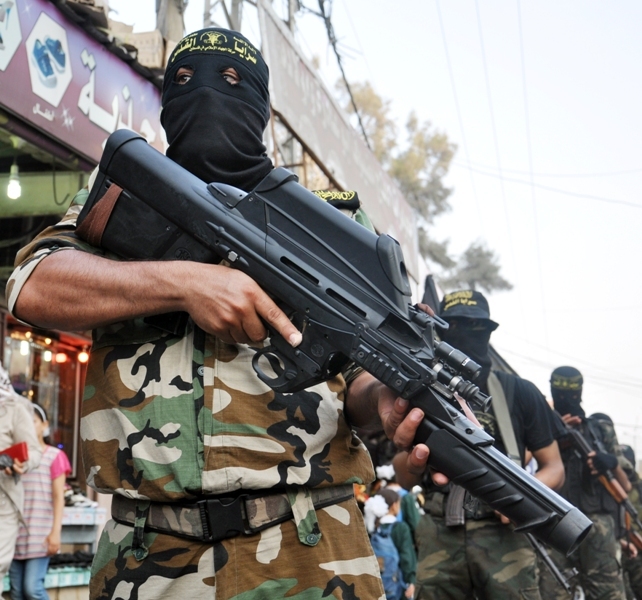 The exception may be the LG1 modules, if ammunition for these is readily available in Gaza. Whilst this is definitely more of a symbolic victory for them – modern assault rifles perhaps giving the appearance of a more effective force – the question of where such arms came from merits further investigation. Of course, without inspecting the weapons in question it is impossible to determine their true origin. We cannot even tell, from these photos, whether these AK-103 rifles are AK-103-2 models or not. Regardless, it is certainly strange that both would appear in images from Gaza at the same time. UPDATE 20/10/2012: This post in the Palestine’s Dialogue Forum (a popular Palestinian forum that draws notable traffic from readers of Hamas’ media page) shows another AK-103. Forum members are discussing the origin of the weapon, including rumours that such firearms have been supplied from Libya. 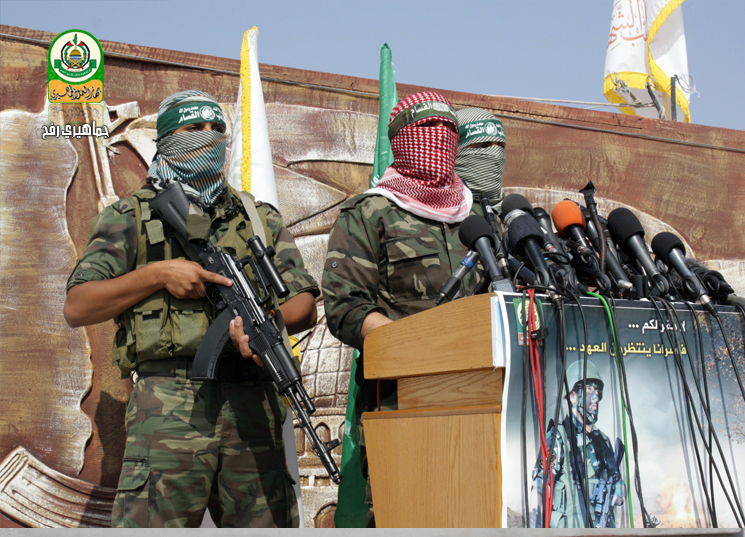 This official Hamas image was taken from the Palestine’s Dialogue Forum. Damien Spleeters, Belgian freelance journalist and arms researcher, has an excellent piece (focusing on the F2000) available here. This piece was front-page news in Belgium, and explores how such weapons may have ended up in Gaza, and what the Belgian government can do to assist in tracing such misappropriation of weapons produced in their country. There is further commentary on his blog. The Group for Research and Information on Peace and security (GRIP) first commented on the F2000’s presence in Gaza. Thanks to Will McCants for his assistance in adding a little context to the photos. 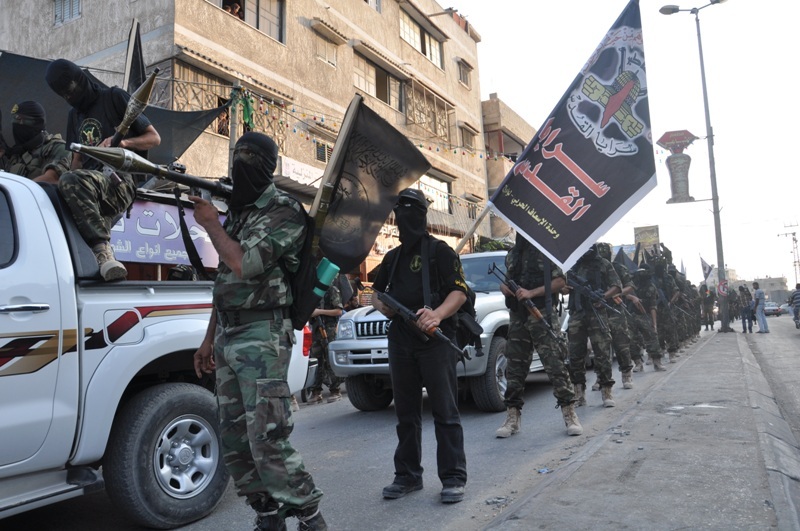 These photos were taken from the PIJ al-Quds Brigades website. NOTE: It is entirely possible that the arrival of these two weapons is coincidental. 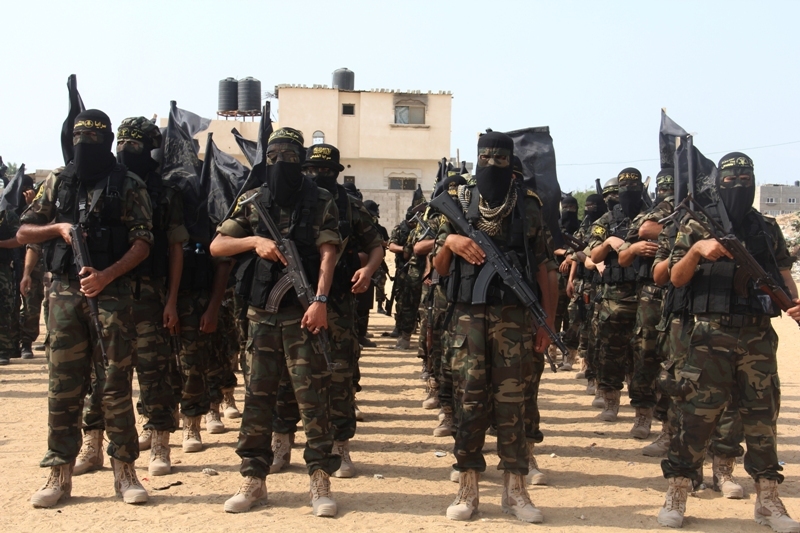 If anyone has earlier photos of AK-103 or F2000 rifles in Gaza, please contact me. The F2000 S, yes. Polish and Croatian special operations forces use the F2000 in limited numbers, also. I didn’t get on with it myself, though I’ve only fired a few rounds. Ingenious, but the very definition of overengineered. Nomenclature-wise, I’ve been told that the standard model with that afterthought bayonet lug is the F2000 ‘Base B’, though I’m not sure why. Have you heard/read this? I’ve not fired one, but I found the example I handled a bit ungainly to manipulate. Not heard of the ‘Base B’ designation, though FNH have a lot of in-house terms. Jonathan, the FN F2000 sold to Libya by Belgium in 2008-2009 are designated “F2000-base-B” in the export documents found by Human Rights Watch in the Yarmouk military base, south of Tripoli, where the 32nd “Khamis” Brigade was stationed. Interesting to know. There is an enduring demand for bayonet lugs, despite their limited utility. So ‘Base B’ really does just relate to the provision of the amusing afterthought bayonet lug? I just looked over the documents myself. It appears that is the case, yes.